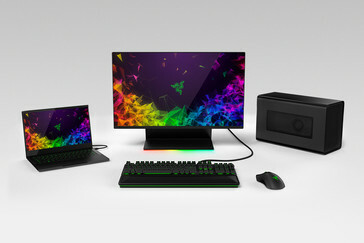 The Razer Raptor 27 is the gaming company's entry into the gaming laptop market. 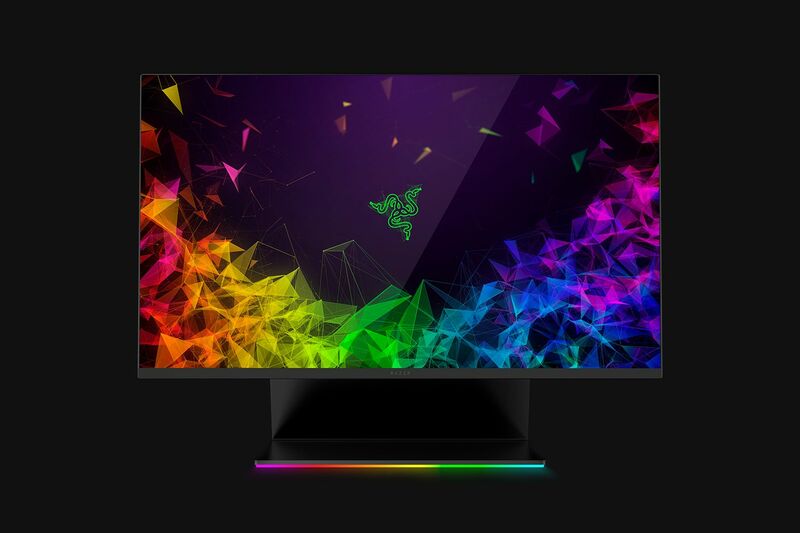 The 27-inch 1440p monitor boasts a quick 144 Hz refresh rate, response times as low as 1 ms, and a bright (420 nit) HDR400 certified IPS panel. The monitor will ship with flat acid green cables tailor-made for the display's cable management system. 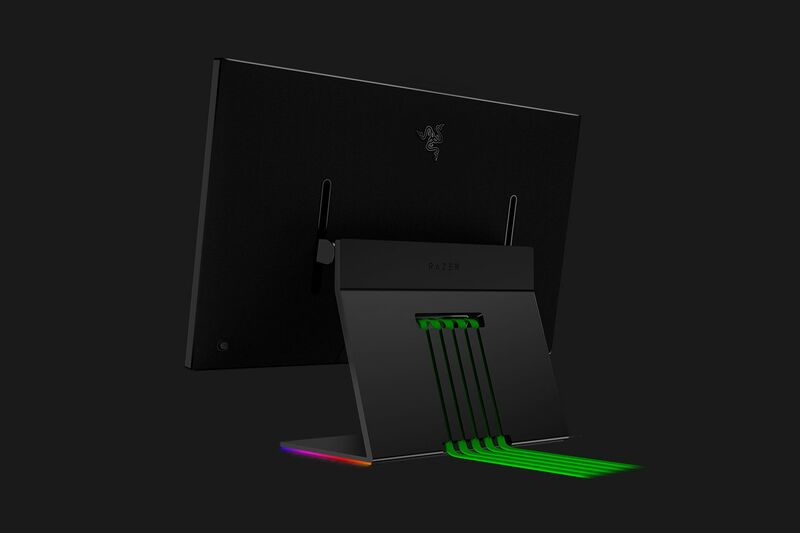 Razer, the company known for its gaming peripherals and gaming laptops, is stepping into another market - desktop displays. “Stepping” may not be the right word here, though. With their new Raptor 27, the gaming company is leaping into the gaming monitor space with both feet. The Raptor 27 is, as its name implies, a 27-inch monitor. The WQHD (2560x1440) IPS display caters directly to gamers with its 144 Hz refresh rate and blazing fast 1 ms response times. The monitor covers 95% of the DCI-P3 color gamut and is HDR400 certified. The backlight gets fairly bright at 420 nits, and the display is compatible with AMD’s FreeSync. Razer being Razer, the Raptor 27 is more than just specs. The monitor is, frankly, beautifully crafted. The left, right, and top bezels are razor thin (pun intended) at 2.3 mm, and the base includes an LED strip that uses Razer’s Chroma RGB lighting system for a customizable color scheme. Cable clutter is also easy to manage thanks to the display’s built-in cable management system. 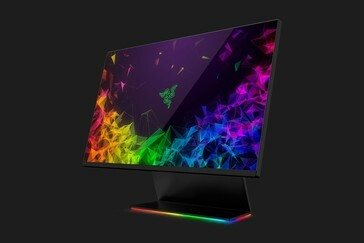 The monitor will ship with acid green flat cables for the back ports. These ports include an HDMI 2.0a port, a DisplayPort (unspecified standard), a USB-C port that can be used to charge mobile devices and can be used as another DisplayPort, two USB 3.1 Gen 1 Type-A ports, and a headphone jack. The Razer Raptor 27 will ship later this year for US $700.